Withings have done something impressive, taking their quite successful Activite Steel range, known for its beautiful, slim design and put a heart rate monitor into the watch. HR stats are shown on a digital circular display embedded into the watch, positioned at the top-middle part. Below you have the circle that lets you know how far into your daily step goal you are. The Activite Steel HR is a smart analogue fitness tracker, first announced at the IFA 2016 event. It comes in two sizes, a 36mm, and a 40mm size with a bit thicker bazel and more masculine look. The watch, of course, is beautiful to look at just like the previous Activite range is, with stainless steel casing and chrome hands. 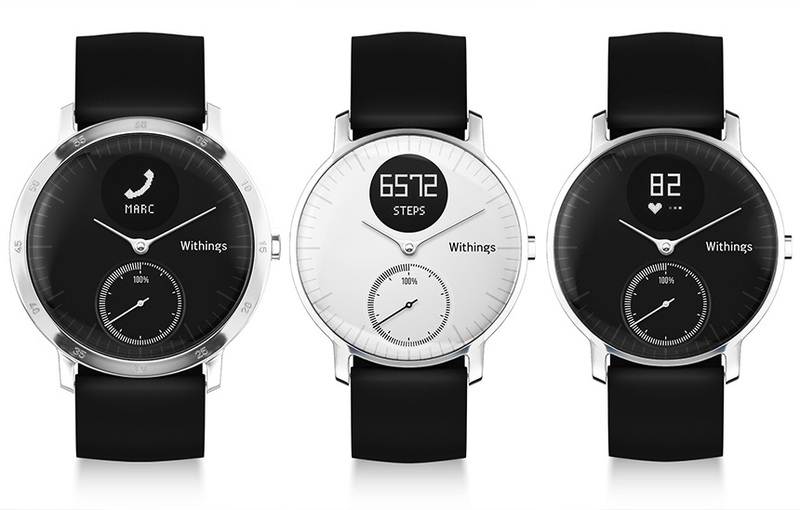 This is the first device released by Withings after Nokia took over the company. As I have said above, the two main features to be added are the 24/7 heart rate monitoring and the little screen embedded into the watch. Along with the health data, the new digital display shows simplistic icons to convey traditional notifications – who is calling, texting or emailing you, or what date it is. There is not a lot of space to show much more information, but still this means you won’t have to open your phone’s Withings App as much. With the heart rate sensor, you will have slightly better activity tracking, as more in-depth analysis can be used. To help with the battery life, the heart rate is taken every 10 minutes instead of every few seconds with continuous HR tracking during exercise, running and other activities that are automatically detected. The previous generations of the Activite line have an amazing six months of battery life. However, when a heart rate sensor is introduced, fitness watches generally won’t make it past a week like we saw with the Fitbit range. With the Steel HR, however, you will get 25 days. This is well above the competition! Plus, after the 25 days, the watch switches into a power-saving mode – no HR but steps and swimming will still be tracked. When the Steel HR does need charging you simply place the watch onto a magnetic charging pad. Ok! 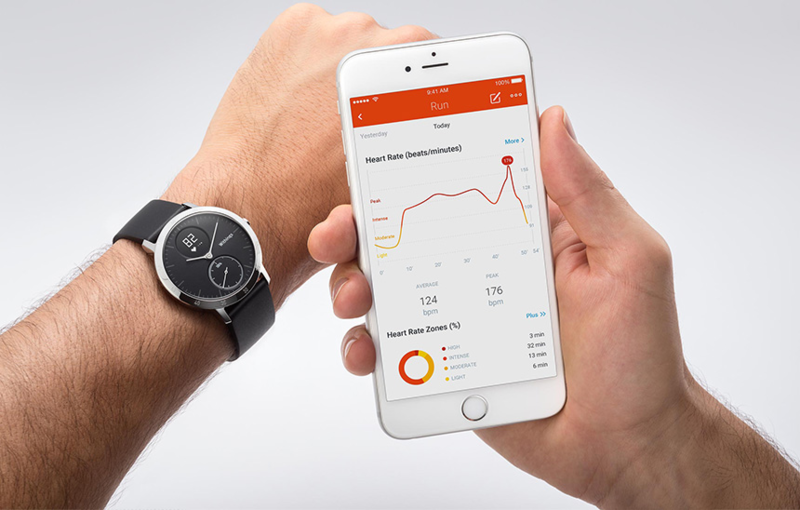 Withings has proven they can create a great product that you do not have to charge nearly as much as other fitness watches. The Steel HR looks like an exciting watch, touted as the first analog watch to have a heart rate sensor built-in Withlings is weel know for the automatic sleep tracking feature, that should only get better with the heart rate included. Combined with the great battery life, we are looking at a very compelling fitness watch. The price for the Activite Steel HR 36mm is Euro 189.95 / USD 179.95. The 40mm version is priced at 199.95 both in Euros and USD. In comparison, the regular Activite Steels are priced at EUR 169.95 / USD 149.95, making Withlings’ new watch quite a bargain.